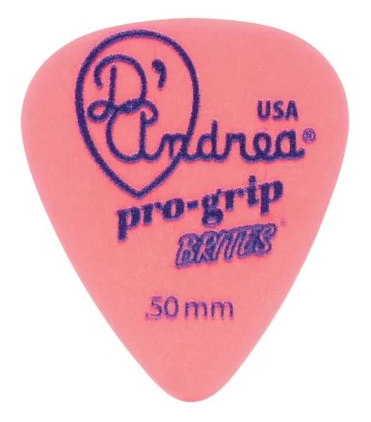 Brite tone on heavy acoustic strings. The .50mm suits my heavy strum with out string rattle. Good buying experience with Strings by mail.